This post picks up where I left off last week with the first five in the top ten woo news stories of 2018. Check out the last five here. Do you think I left out the wooiest 2018 woo? Feel free to hit me up on social media, where I’ll be sharing the runners-up. 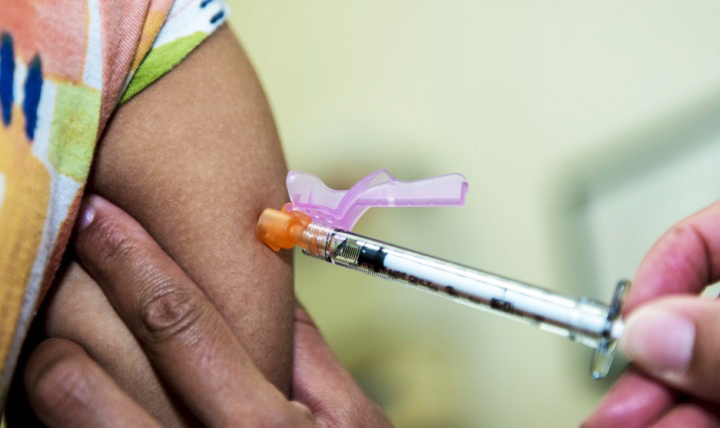 Anti-vaccine “hotspots” are getting worse. A June 2018 study published in PLOS Medicine reveals a disturbing story about the impact of anti-vaccine movement—the rise of nonmedical vaccine exemptions (NMEs) in pockets of vaccine resistance in areas in twelve of the eighteen U.S. states where religious and philosophical-belief exemptions are permitted. The study details how the rise in NMEs is leading to “hotspots” where vaccine-preventable disease outbreaks are more likely. Several of these hotspots are in major metropolitan areas, some of which have airports, ultimately leaving swaths of the population vulnerable to vaccine-preventable illness. Study author Peter J. Hotez, dean of the National School of Tropical Medicine and professor of pediatrics and molecular virology and microbiology at Baylor College of Medicine, is vocal about his concern as a vaccine scientist and a father of four children, including a daughter diagnosed with autism and intellectual disabilities. He described how anti-vaccine political action committees work to stoke parental fear in an essay published in The Conversation. The centuries-long scourge of scientific racism rears its head. “Over the past year I have been investigating this tight, well-connected cabal of people, who nowadays call themselves ‘race realists’, reflecting their view that the scientific evidence is on their side. Their work is routinely published by Mankind Quarterly, a marginal journal operating since the 1960s, when it was founded by a group of scientists disgruntled with the fact that mainstream journals were unwilling to publish their controversial ideas. The American Society of Human Genetics responded to the resurgence of scientific racism (which, of course, never went away) in November of this year, officially denouncing the misuse of genetics to fuel racial ideologies. Goop pays up for jade vaginal eggs. Note that this settlement only applies to advertising claims, though—not claims on the lifestyle website’s blog or other platforms. The jade and rose quartz vaginal eggs, which are “pre drilled for string add-on,” remain up for sale at goop.com as of the writing of this piece, albeit with toned down language to “ensure compliance” with the terms of the settlement. The news left some wondering whether the yoni egg gaffe would leave a dent in Paltrow’s lifestyle empire, but don’t expect Goop or Paltrow to go anywhere soon. According to a December 4 interview in WSJ Magazine, Gwyneth Paltrow sees Goop as “trailblazers” for women’s health. Goop told the magazine that it has tripled revenues in the past two years and is on track to double them this year, in part from direct-to-consumer sales of Goop-branded products, which are up 80 percent year-over-year. The frantic news that our kids’ breakfast food is laced with toxic Roundup. As those of us who regularly try to make sense of whether or not people really need to worry about the latest alarming chemicals-in-things news know too well, the damage was already well past containable as soon as the story broke. For instance, after a recent panel I sat on following a screening of the Food Evolution documentary at the Ethical Humanist Society of Chicago, a gentleman approached me with one pressing question: Is it safe to start eating his beloved cereal again? The poor guy had stopped eating his usual morning breakfast after reading about the EWG report. I told him that I’ve continued serving my kids the oat and wheat cereals that they like, and I’m not afraid that it’s poisoning them. His sigh of relief made my day. CFI sues CVS for misleading marketing of homeopathy. The Center for Inquiry (CFI, which publishes this column via the Committee for Skeptical Inquiry) filed a lawsuit in June on behalf of the general public against drug retailer CVS for consumer fraud over its misleading sales and marketing of homeopathic products—in other words, suggesting that they work for stated purposes. In a nutshell, homeopathy is founded on two basic principles that render it the perfect quackery:1) that a condition can be cured by the substance that caused it and 2) that repeatedly diluting the substance until an infinitesimal amount of the original substance remains increases its potency. That wraps up the first (annual?) edition of the year in woo. Keep an eye out for new episodes of Point of Inquiry in the beginning of 2019, in which I interview some great scientists, authors, subject matter experts, and stars on topics covered in this column and more. Here’s to good health and joy in 2019! Kavin is an author and public speaker covering science, health, medicine, agriculture, food, parenting and their intersection. Her work appears regularly at Forbes, SELF Magazine, Slate, and more. Her chapter in the recent MIT Press book “Pseudoscience” is entitled “Swaying Pseudoscience - The Inoculation Effect.” When she’s not writing and tweeting, she’s busy being a “Science Mom”—also the name of a recent documentary film in which she’s featured—to a 7-year-old and 5-year-old. “Woo Watch” with Kavin Senapathy explores the claims and claimants in the alternative health, clean food, and spurious parenting worlds, and examines the institutions and personalities driving these movements. Spanning the infuriating, heartbreaking, and just plain mind-boggling, the column will take a fresh look at old school woo, and keep an eye on the newest spurious health trends.